You can almost smell the damp, dark forest which fungi inhabit in the new book by nature photographer, now author, Alison Pouli0t. As a photographer Alison Pouliot brought over 100 evocative images to the large format fotog book Gariwerd:Reflecting on the Grampians, published by em PRESS. I ​also commissioned her to take pix of features along the Goldfields Track, many of which adorn both editions of the the track's guidebooks. Her new informative and entertaining ‘autoethnographic’ tour of the fungal world features, as you would expect, many striking photos. She's no slouch at writing either. I just went to flick through the book, and before I knew it, was immersed in the lexicon of fungi and its disappointing roots in English. The Allure of Fungi is published by CSIRO Publishing. 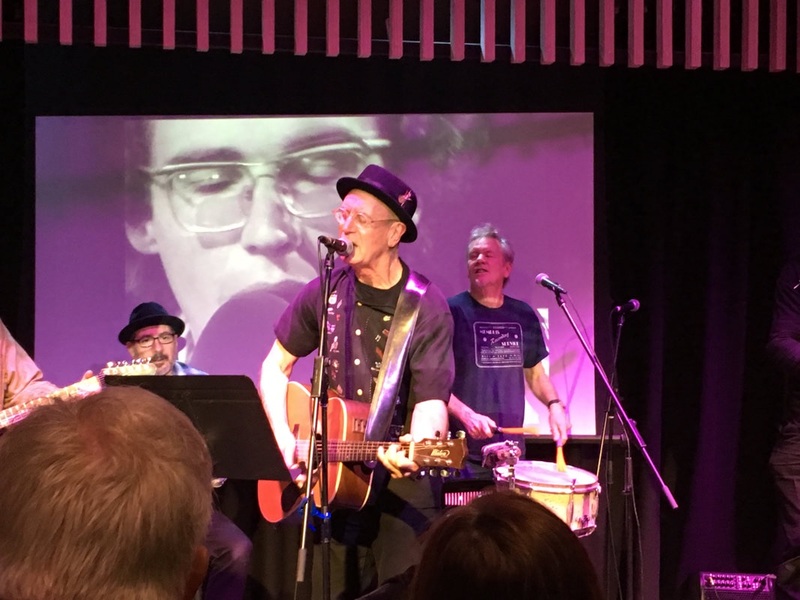 Musician and former em PRESS author Craig Horner is gathering some impressive reviews for his biography of the rise and fall of one of Australia's favourite rock and roll bands, Daddy Cool. "There are many fabulous tales to be told in Australian rock’n’roll and the story of Daddy Cool must surely rate as one of the most entertaining. This is the kind of book that I had hoped to read one day... and now musician and author Craig Horne has delivered the goods.
" Horne has the musician’s sense for the minutiae of life on the road and the author’s flair for telling a good story. He also provides great insight into the music of the 1960s and 1970s which gave rise to a band such as Daddy Cool, by placing it within the political milieu of the day, a time of enormous social change and cultural revolution. "There are many great passages throughout. When Wilson wrote the prototype ‘Eagle Rock’, coming up with the finger picking, country blues guitar lick in A that he was sure he’d stolen subliminally from somewhere, he asked anyone who would listen, “have you heard this before?”. He finally realised he’d come up with something unique when no-one could quite pinpoint the connection. "He took the title ‘Eagle Rock’ from a picture he’d seen in a newspaper article; it showed African Americans dancing in a Juke Joint during the 1930s and the caption said they were “Doing the eagle rock and cutting the pigeon wing”. Craig playing with Gary Young, on the drums, at the launch of Daddy Who? at the Arts Centre. The People Budj Bim has been reprinted with minor changes. It is hoped a revised edition will come out next year to coincide with the Budj Bim landscape gaining World Heritage listing as Australia's first cultural landscape. Copies of the book are also on sale via the Gunditj Mirring Traditional Owners Aboriginal Corporation in Heywood. Twenty years on from the Goldfields Track's humble beginnings, the 2nd edition of the Goldfields Track guidebook not only brings the colourful history of the region together, but also, for the first time, brings together mountain bike riders and walkers. No longer simply a walking guide, it’s now the Goldfields Track Walk or Ride Guide, providing comprehensive coverage of the longest shared use track in Victoria. The 1st walking guide edition won a community history award for its in-depth coverage of cultural heritage and reading the landscape. Wiro bound, it’s proven tough enough for on-track usage. “This new edition stands on its shoulders and raises the bar to new heights,” says Peter Skilbeck, Chair of Goldfields Track Inc (GTI). “It has totally revised maps and track notes, and new essays from local experts. The publishers have deliberately fostered ‘a sense of place’ by sourcing the guide’s author, designer, essayists, cartographers and photographers from the goldfields region. 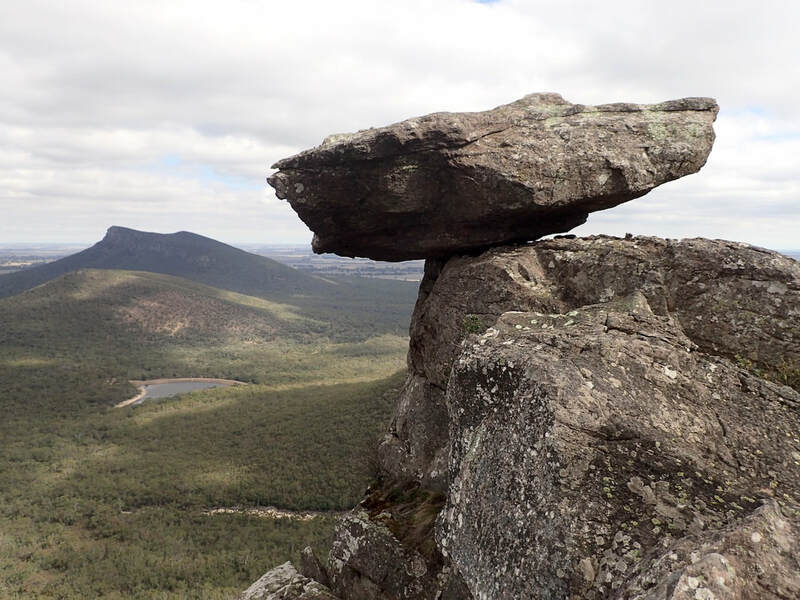 Land managers from Parks Victoria to DELWP and local government have embraced the track. 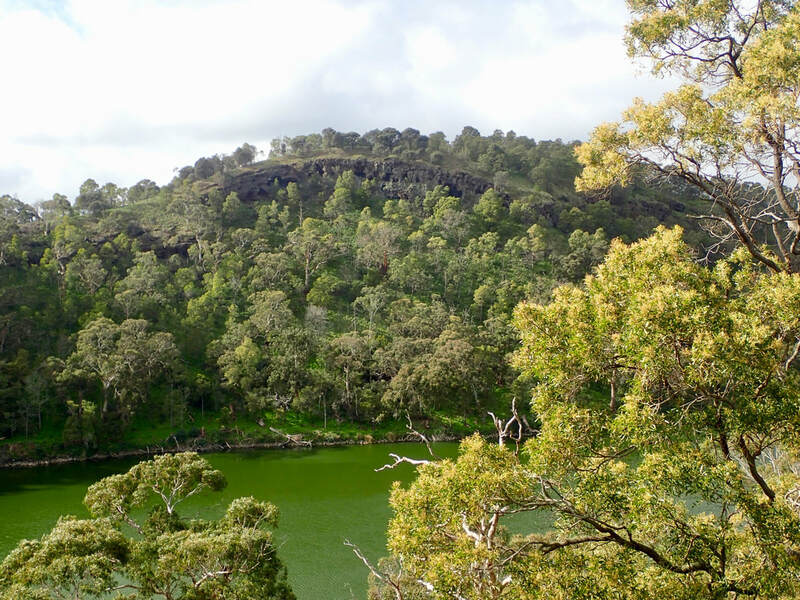 “What makes the Goldfields Track truly unique is its cultural heritage, diverse natural beauty from mountain tops to golden plains, and its easy accessibility from Melbourne and regional towns,” comments Peter Skilbeck. You can view a full image of the Wombat Forests six season calendar at the foot of the 'Daylesford Nature Diary' review or on the Home page. We're now in a sodden true spring, which in the Wombat Forest six season calendar is appropriately symbolised by a frog. Flat pack versions of the calendar are available for sale. The calendar, A2 in size, usually reverses out of the dustjacket of the Daylesford Nature Diary. 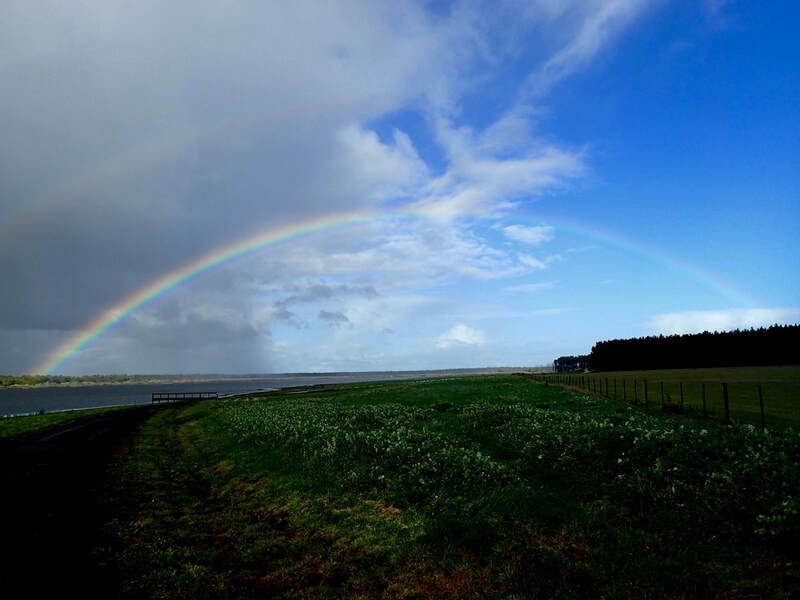 The Sustainability Coordinator at the Ballarat Grammar Junior School, Blake Curran, has just bought a bunch of the wall poster calendars to laminate. "I am trying to align a variety of elements of local Indigenous culture with our sustainability curriculum and your seasonal calendar works beautifully," he said. "It also makes a lot of sense to the younger students given the current weather situation!" ​Contact em PRESS here – for sale at $5 each plus p&h; no postage for orders of 5 and over. Digby Race speaking at the launch at the Indonesian forestry research institute FORDIA. 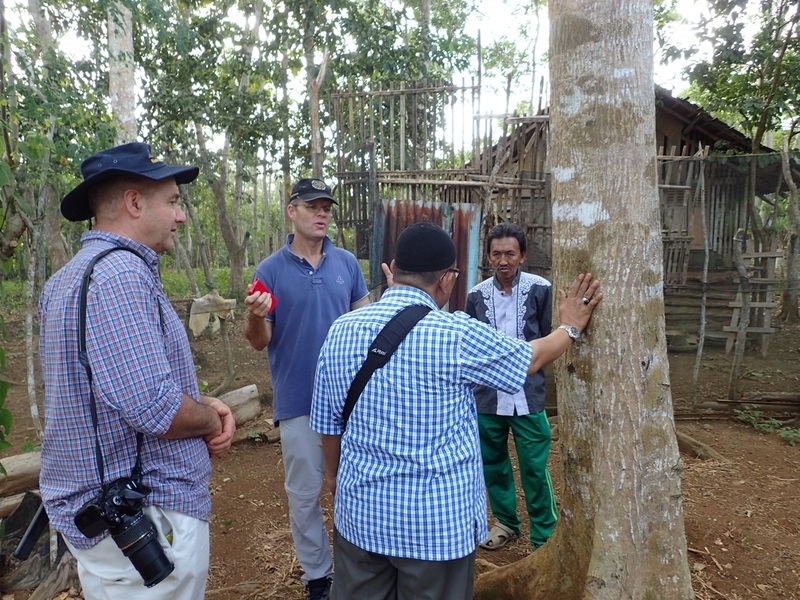 In August, I travelled to Bogor in Java for the launch of a farm forestry book documenting the results of ten years of research by a team of 30 Australian and Indonesian researchers led by Digby Race. 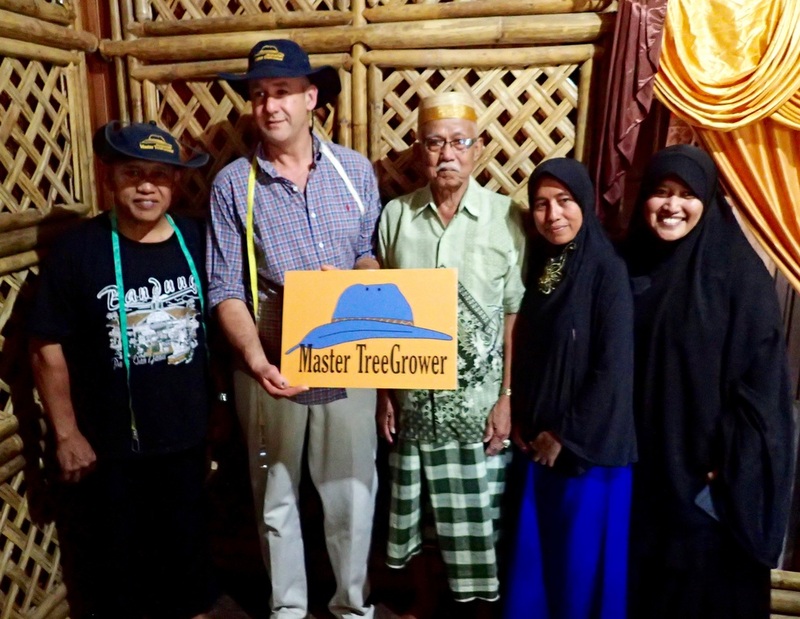 Digby commissioned me to co-edit and publish the book Adding Value to the Farmers' Trees, which was sponsored by the Australian Centre for Agricultural Research (ACIAR) based in Jakarta. Adaptation of Rowan Reid's Australian Master TreeGrower program to suit Indonesian small holder farmers played a central part in the research project. 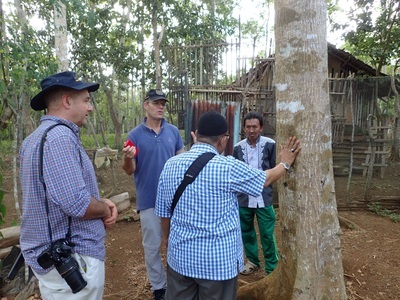 The project's aims were to increase the silvicultural skills of smallholders (i.e. with farms less than 4ha in size) and to better connect them to local markets for their timber. Not that dissimilar from farm forestry extension projects which once existed in Australia. Half of ACIAR's $9.4 million annual budget is focused on forestry research in Asia, investigating the sustainable use of forests – not just for reafforestation, but as ACIAR's Forestry Research Program Manager, Tony Bartlett, said at the launch, "so as it makes a difference to people's lives." 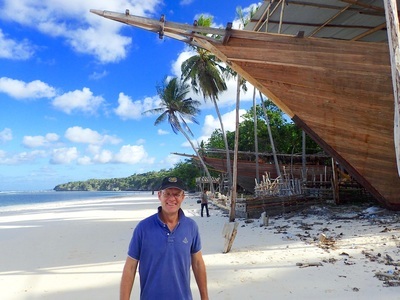 After the launch, Digby, Rowan and I flew to Sulawesi with a group of Indonesian forestry researchers and visited a boat building village at Bulukumba, which has long lasting ties and resonance with the Yolngu people of NE Arnhem Land. 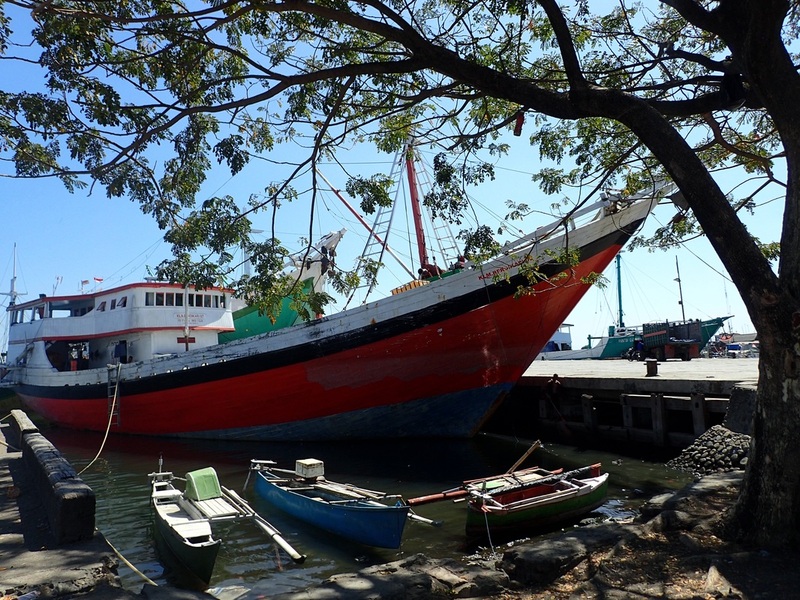 Traditional Indonesian phinisi boats have been constructed at Bulukumba to the same template for almost 1,000 years. For much of that time, Macassan sailors from Sulawesi sailed east on the monsoon winds to moor off beaches in NE Arnhem Land to collect trepang or sea cucumber and peaceably trade with the Yolngu people. Their annual visits were banned by the new Commonwealth Government at Federation at the turn of the 20th century. Beautiful, handcrafted wooden boats, the phinisi boats are now highly valued worldwide for the tourist trade. And they still ply the cargo routes between the Archipelago's thousands of islands. 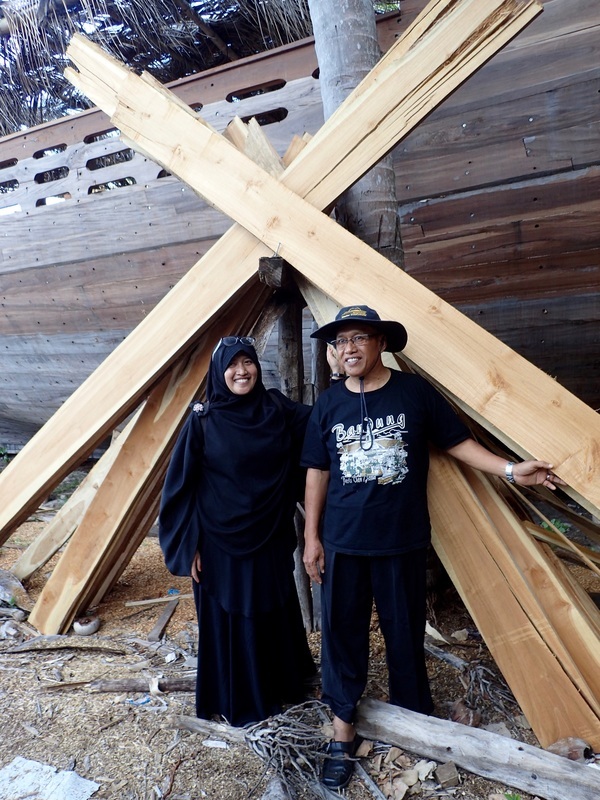 The ACIAR forestry research project is linking smallholder farmers to the boatbuilders of Bulukumba, so that the right sort of trees continue to be grown and can be sourced locally. Click on the gallery of pix below to open and see captions.